Meet Norah. Born on February 6th, 2016, Norah was born petite, but healthy. 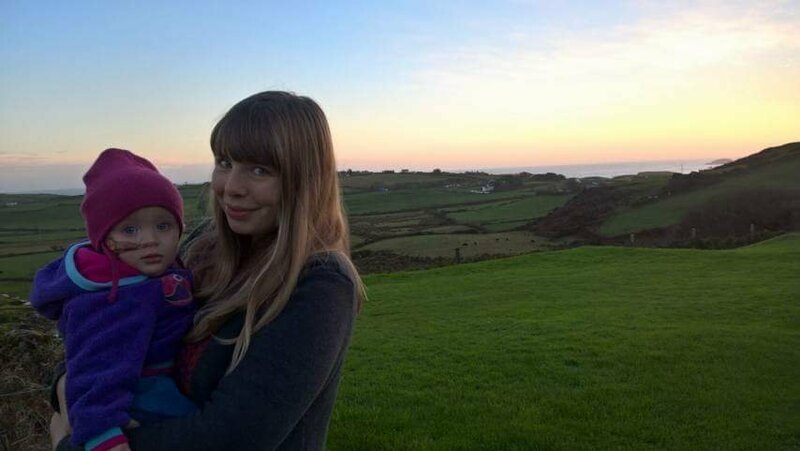 Norah was breastfed for 3 months, but struggled to gain adequate weight, and refused to drink from a bottle or cup, despite weeks of trying every trick in the book. 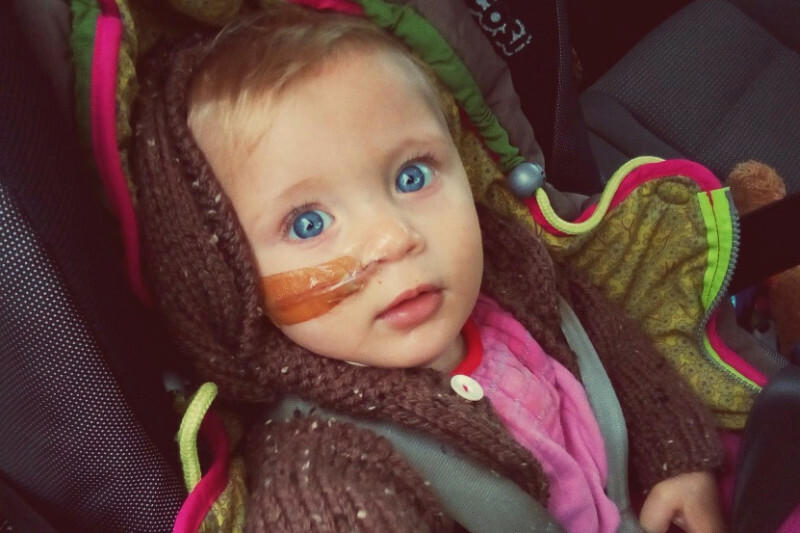 Worried, we took her to our local hospital, where they fitted her with a nasogastric feeding tube. 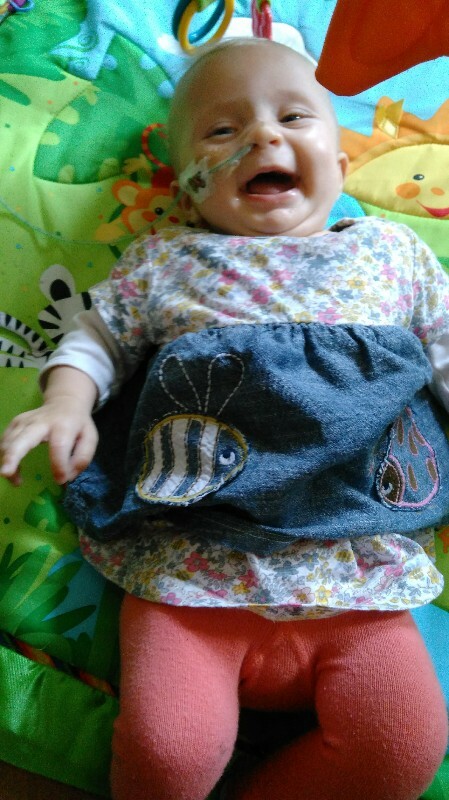 We were under the impression it would only be for a couple of weeks to boost her weight, but now fast-forward over 7 months later, and Norah is still eating only from a tube, and has become dependent on it. Norah has been through many attempted weans, all which have ended in failure. Our local hospital unfortunately isn't experienced weaning tube-depenedent children, and offer little help in this frustrating situation. The tube can cause many negative side effects, such as delayed vocal and motor skills, post traumatic stress disorder from tube insertions, frequent hospital visits, and simply not having fun at mealtime and experiencing food as a 'normal' kid. We want to see Norah thrive, naturally. We want her to be free of traumatizing weekly tube insertions. We want her to understand hunger, and enjoy food. So, what's the solution? A weaning clinic, monitored by professionals, to ensure she is getting enough nutrition, while simultaneously learning to eat orally. The American based tube weaning specialists, Growing Independent Eaters ( www.gieaters.com) offers professional netcoaching for tube dependent children. The goal of this campaign is to earn enough money for both the assessment and the Full Support Wean, which totals USD$2,850 (€2740 EUR). - A feeding therapist-produced tube feed reduction plan, to safely induce hunger. -A thorough assessment of Norah's situation & medical history, including a one hour assessment by a Speech and Language Pathologist. - A dietary plan throughout the wean. -Four (4) hours consulation with a social worker. Our goal is to get the best help for our beautiful girl and free her from the tube. We believe that in collaboration with Growing Independent Eaters, we can achieve this for Norah. Your contribution is immensely appreciated. Wow!! Not even two days and we've reached (surpassed, even!) our goal to pay for Norah's weaning programme! Thank you all SO much. This is the greatest Christmas present we could have asked for. Much love! Launching the campaign today! Thank you in advance for anyone who contributes. Happy holidays! Its a wonderful family worthy to be supported. Thanks for your love. God bless you all. I love supporting and mostly through music. you should continue to accept contributions. let people's generosity flow. If it turns out after a year you don't need the extra money, pass it on.